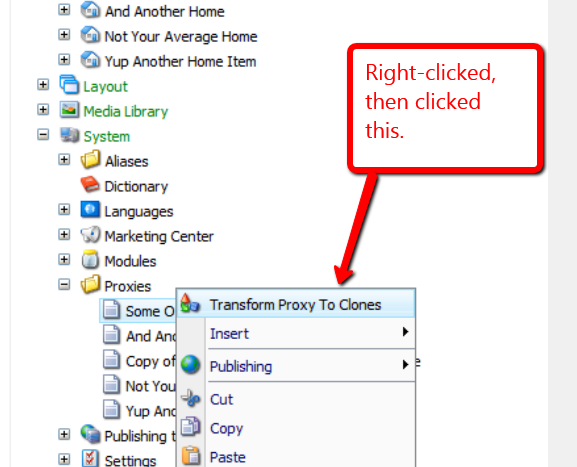 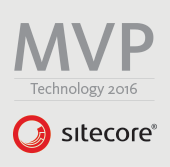 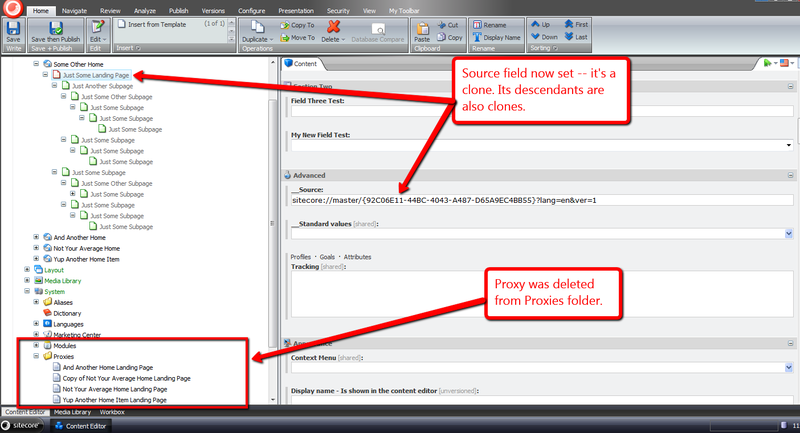 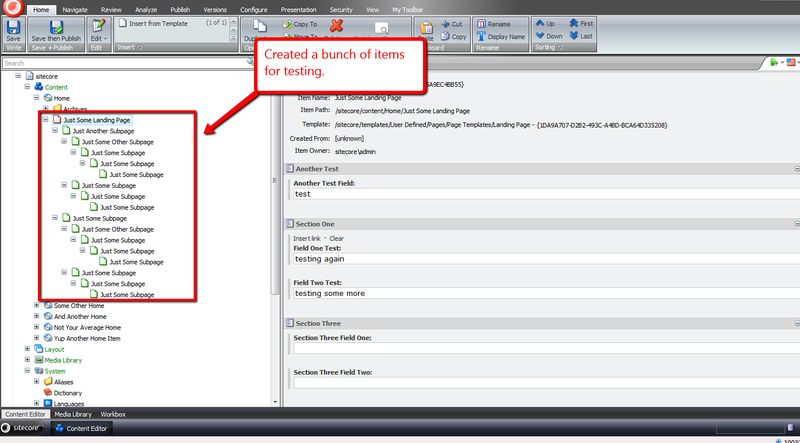 By Mike Reynolds in Clone, Clones, Commands, Content Editor, Context Menu, Customization, Data, Items, Proxy, Sitecore, Sitecore Client on 05/24/2013 . Great article. 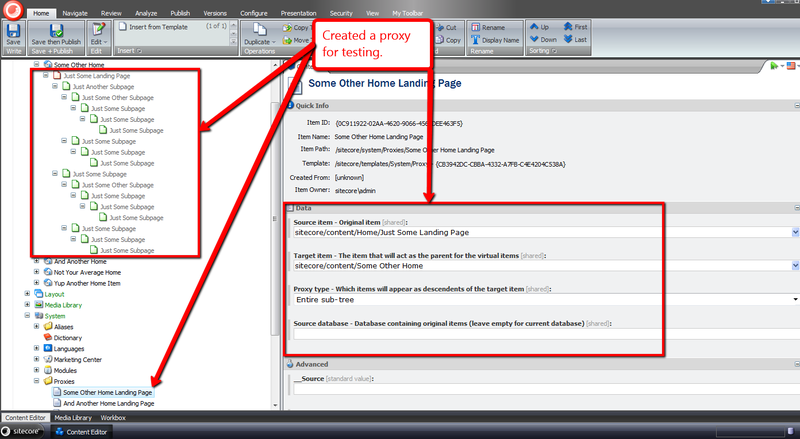 I know it is a bit old, and most Sitecore instances have probably already replaced all their proxies, but… has anybody done this with a Powershell script instead?